Editor’s note: This article was first published at 5:30 a.m. on Feb. 6, 2018, but updated at 10:30 a.m. due to a document that the Cherokee County Sheriff’s Office made available to Carolina Public Press. This document clarified important elements in the article, resulting in several minor revisions. A confusing electronic audit trail and series of time stamps on printed versions of a jail incident report are at the heart of a dispute between Cherokee County Sheriff Derrick Palmer and his former jail lieutenant. Palmer says he has asked his staff to tell the State Bureau of Investigation that someone has produced “unofficial” versions of the report. But former Lt. Jeremy Bresch says his account of being ordered to keep a scrap between guards and a federal inmate quiet until after the May primary election had been in the report since shortly after the incident. Palmer is questioning the validity of a version of the report that includes Bresch’s account. “I am not sure if what you have is a fictitious copy, but it is not what is officially on file with the Cherokee County Sheriff’s Office,” Palmer wrote to Carolina Public Press on Friday. Regarding the same case, a former jail guard has also told CPP that a version of the report the Sheriff’s Office released in December included unexplained changes in the guard’s words describing the incident. In December, a grand jury indicted one of the guards on two misdemeanor assault charges, saying he had kicked Stokes in the face. CPP wrote last month about the report provided by Bresch, in which he described receiving orders from Capt. Mark Patterson, who was jail administrator at the time, to wait to inform the U.S. Marshals Service about the May 2, 2018, incident between the guards and federal inmate George Victor Stokes until after the May 8, primary election. Both Palmer and Patterson were on the ballot. CPP asked Palmer about Bresch’s claims and the report last month, but the sheriff did not immediately respond beyond denying that he had ordered any delay in handling the case. However, he sent an email to CPP on Friday addressing the matter and saying he had never before seen the report that included Bresch’s allegations about being ordered to keep quiet. 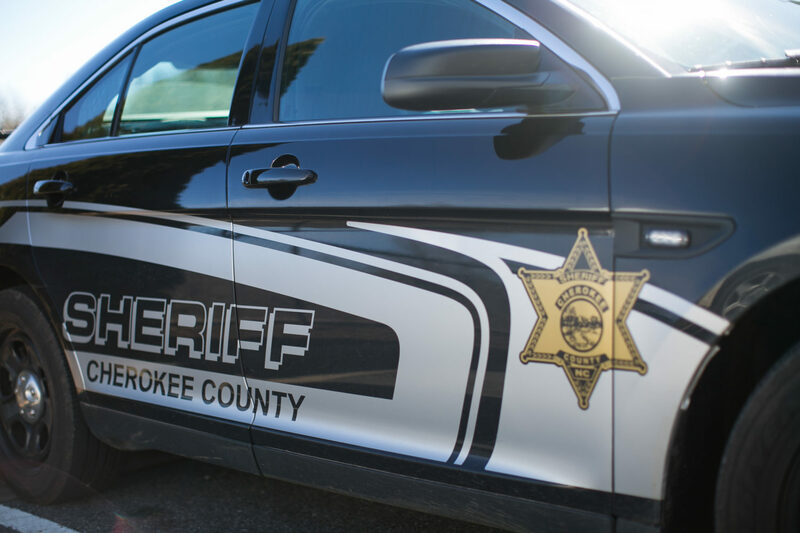 In a follow-up email on Tuesday, Palmer said Bresch’s specific allegations are not currently in the electronic report file saved on Cherokee County Detention Center’s system. Bresch’s account was among several written in the aftermath of the incident. Bresch’s remarks said Patterson went to talk with the sheriff and returned to tell Bresch to keep quiet. Bresch told CPP that he did not obey but instead contacted federal marshals about the fight the next day. In Palmer’s recent email challenging the authenticity of Bresch’s report, the sheriff attached what he called an “official” version of the report. Neither this version nor the version the Sheriff’s Office provided to CPP in December includes Bresch’s statement. However, the new report also contains additional material that was not included in the printout distributed in December. That December version, County Attorney Darryl Brown said, was “the unedited and unredacted” incident report. Official or not, Bresch said he gave to the SBI a copy of the report for its investigation into Stokes’ assault that included the narrative about Patterson asking Bresch to delay reporting the incident until after the election. The SBI did not respond to CPP’s request for comment on that point. He said he wanted to be able to prove he reported the incident properly to his superiors. The sheriff has provided CPP with several copies of a record, called an audit trail, indicated when the document was edited or viewed, from which computer and by whom. Palmer said he reported the discrepancies to the SBI because the modifications were made under Bresch’s computer credentials. However, Bresch also said it was common for officers to use computers to file reports irrespective of who was logged into them at the time. Passwords were shared freely among staff, Bresch said, a practice that former guard Tom Taylor also confirmed. When incident reports are printed, they include a time stamp. The time stamp on the document that includes Bresch’s account was printed on May 18, well after May 4, when the audit trail says the document was last altered. It’s possible that, as Palmer has suggested, one or more of the documents is a fake. It’s also possible that someone found a way to alter the file without this action appearing in the audit trail. A request for comment from Patterson, who now works as a school resource officer for Cherokee Central Schools, went unanswered Tuesday.